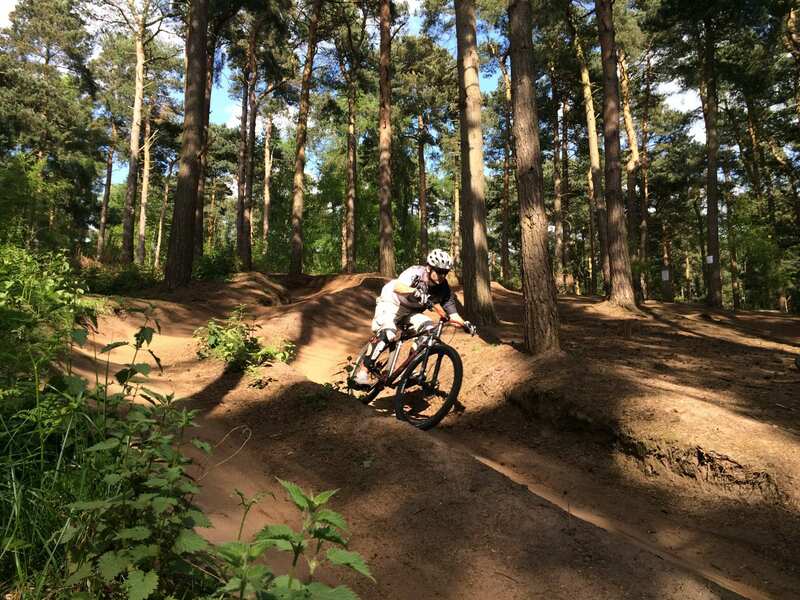 Yesterday was my first trip over to Chicksands bike park, and it’s bloody brilliant! I can only carry two bikes on the A4 so it was just me and Andy this time but it was awesome. After parking up and pulling the bikes off the roof we went and explored the free to ride XC trails. If cross-country is your thing you could have fun for hours pedalling around looking for all the routes hidden away in the woods. There was the occasional dog walker to dodge but they were pretty friendly and kept their dogs under control when we passed, just keep an eye out for them. Access to the bike park was a fiver each. From the entrance heading right will take you over to the mini downhill, 4X, dirt jumps and dual slalom tracks. Head left and you’ll find BMX and a bunch of pump tracks, along with DH and freeride tracks. Being complete newbies we didn’t know the BMX track was a BMX track, just saw berms, step-ups and a roll-in and thought it looked fun so attacked it with the 29ers straight away. This went surprisingly well. The step-ups were tricky but it was a fun little track, and no doubt helped ease us into the pump tracks we tried out next. 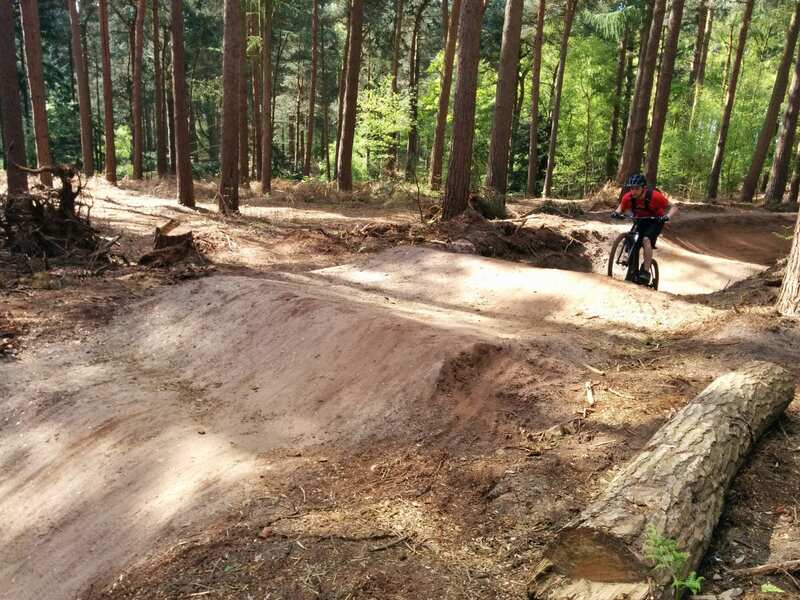 There were three pump tracks we found of varying difficulty, one clearly a beginner track and the other two a little more challenging. We can either blame our ability or the bikes but one of them just felt too tight to tackle on a niner. The other was awesome, we were ripping around that for ages before heading off to find the dual slalom and mini downhill tracks. The mini downhill track was just about at our level of ability other than one surprise drop-off with no chicken run. I’ll own up and admit that I bottled it and stepped down. After that I think you’re pretty much at the end of the track and need to head back up the hill to go again. We didn’t go again, we tried the dual slalom track instead. For me the dual slalom was the absolute highlight of the day, best fun I’ve ever had on a bike (at least one that doesn’t have a engine, but even that’s a close call!). It’s fast, there’s jumps, berms, it’s awesome and to make it even better you get to race your mates! I could have very happily raced down this thing all day long, and think the 29er held up to the abuse pretty well. 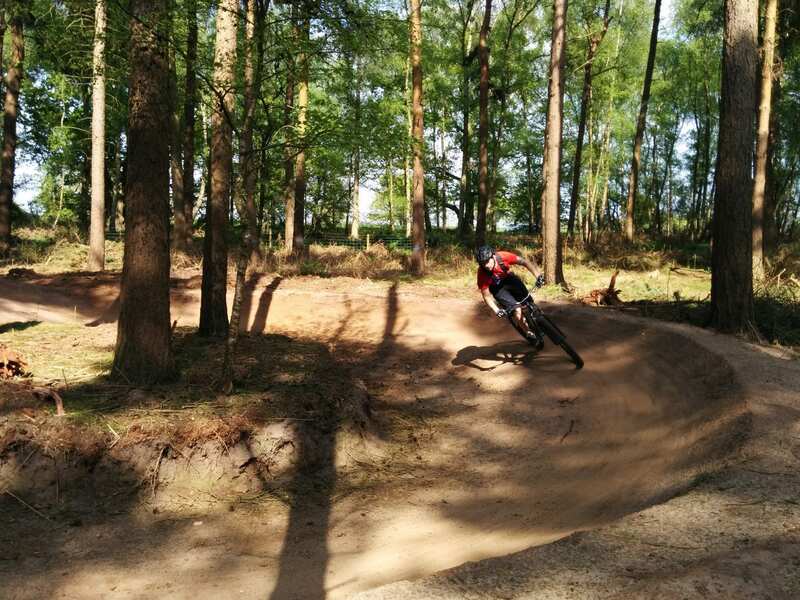 I feel like I’d have been faster over the jumps and more confident in the air with smaller wheels, but I definitely don’t need to rush out and buy a new bike to have fun on a dual slalom track. 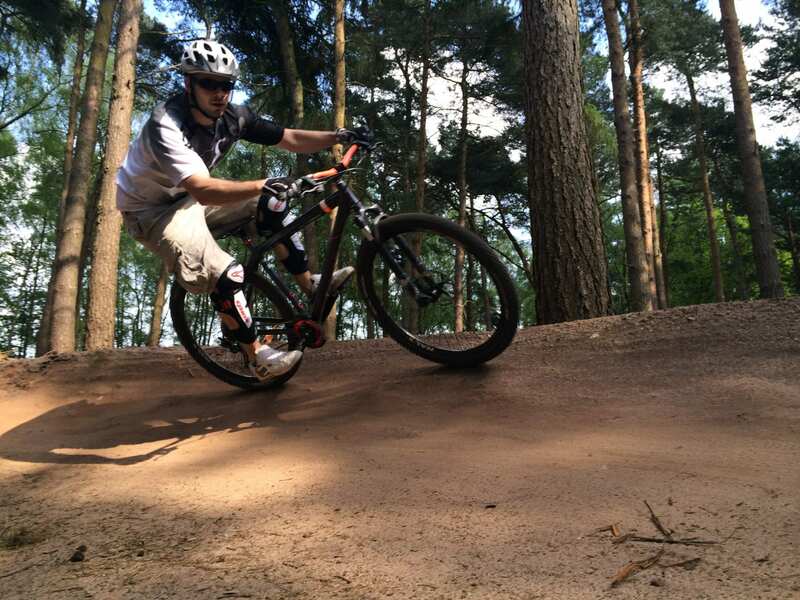 Chicksands was a much better test of the new parts I just fitted and really put them through their paces. All the new gear performed great but I did find that the new Shimano ‘Saint’ pedals weren’t too grippy with my trainers. Fortunately the pins in these are much better thought out than the old DMR V12’s; they screw in from the reverse side of the pedal which allows for a larger allen head, much less likely to round off. Rather than have to buy longer pins (as I did with the DMR’s) the Saint pins come with spacers pre-installed, removing these gives an extra couple of mm which gave me that little extra grip I was looking for. I also fitted the outer edge pins which are not installed out of the box. Big thanks to the locals who clearly put a lot of time into maintaining everything out there. See you again soon Chicksands!